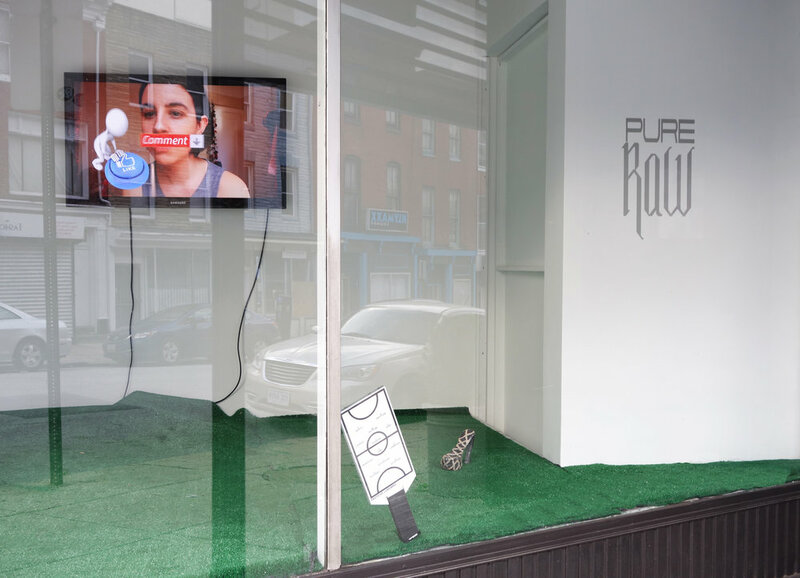 Resort is pleased to present our third exhibition, Pure Raw, curated by Alex Ebstein and guest curator Abbey Parrish. Pure Raw brings together the works of eight artists working in painting, sculpture, video and fabricated goods. The works in Pure Raw deconstruct and exaggerate personal branding and aesthetics, aimed specifically at the blurred line between private and public self. This selective presentation, undertaken daily in social media and fashion, is here encapsulated in blunt, physical objects that lay bare the omnipresence of self definition and allegiance through visual culture and signifiers. Molly Soda (@bloatedandalone4evr1993), a pioneer of inhabiting virtual space as an artistic practice, confronts her audience (both in the gallery and online) with the symbiotic relationship between content creators and content consumers. Through his studio practice as well as his internet persona, Pastiche Lumumba (@art21savage), fuses multiple creative worlds in his critique of contemporary culture. 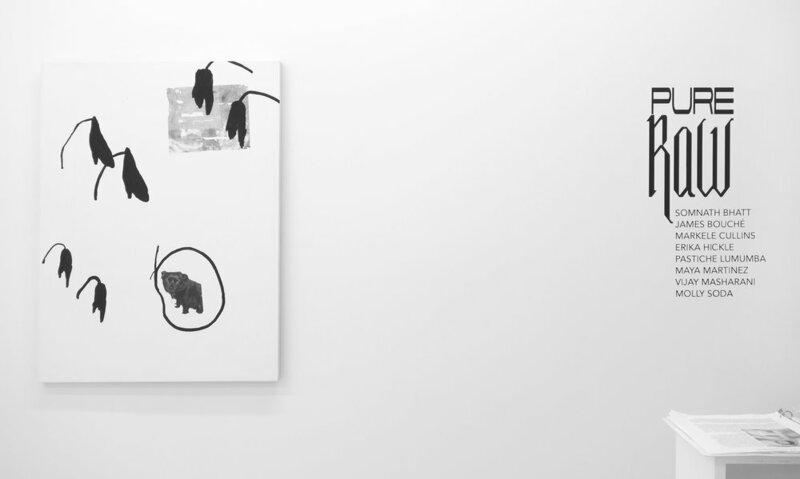 His work investigates how contexts creates radical shifts in meaning and value. Known for her use of vulnerability within the context of internet, Maya Martinez (@sadpapsmear69) works in poetry, sculpture and limited edition clothing. Her works investigate voyeurism as entertainment and the ease with which we watch one another through social media. James Bouché's (@jamesbouche) work explores overlaps between post-minimalist aesthetics and contemporary subcultures. In this exhibition, he presents pieces that connect sexuality and his religious upbringing. Somnath Bhatt (@baapor) investigates past and present as well as the influence of heritage versus the experience of millennial, American identity. He questions the value of craft and labor as seen through each perspective, and how these contribute to a conflicted sense of self as an artist and designer. He communicates these intersections with a broad use of language, iconography, and symbolism through fabrication and design. Vijay Masharani (@vijay.masharani), Markele Cullins (@hoeteps) and Erika Hickle (@pixieforest69) each present works that deal with visual overload and its effect on the psyche. 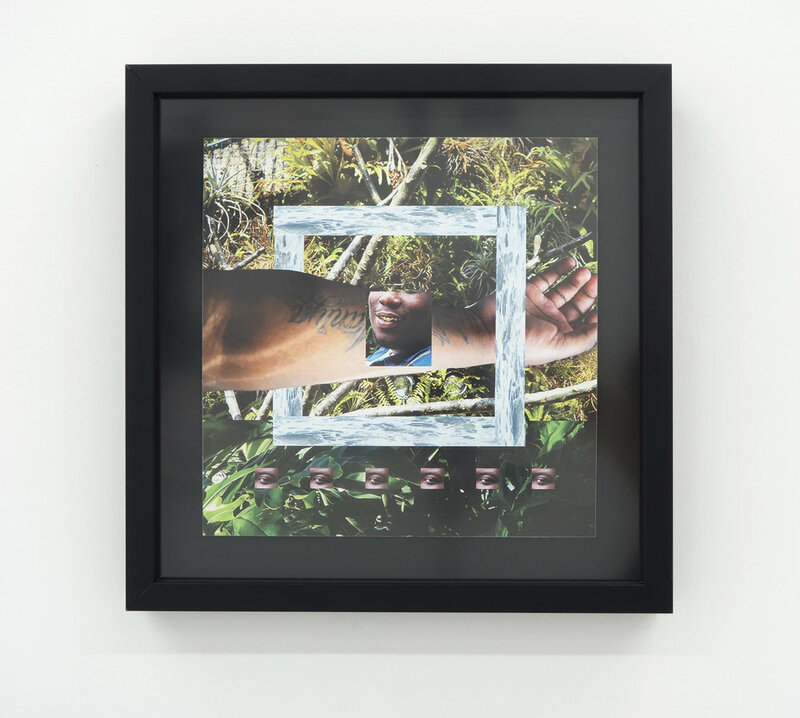 Vijay’s work takes the destructive capacities of whiteness as an object of inquiry. His video work examines the cumulative effect of media as a disseminator of trauma, mainstream and niche networks creating imagery and language that divides, separates and exhausts. 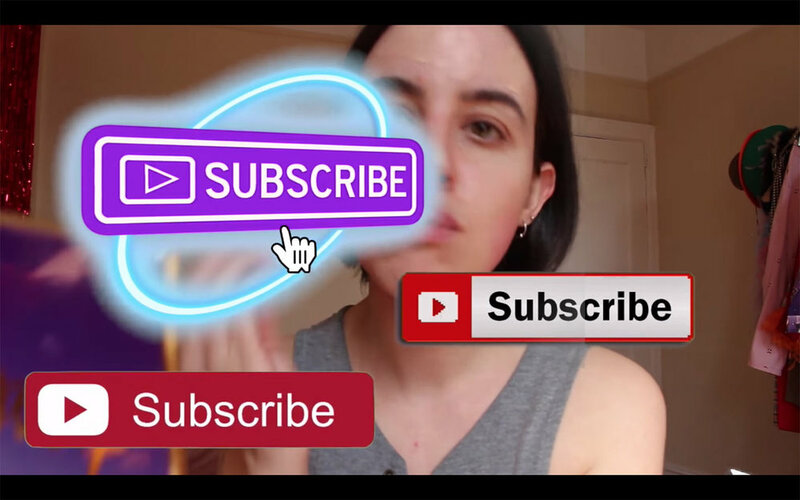 Markele, an artist, performer and curator, makes work that examines the divisions and reductions of identity in daily, digital communication and how it seeps into one’s sense of self. His work questions bliss and happiness through archived nostalgia. Erika’s paintings re-contextualize casual imagery, collected through texts, snapshots and google searches, into diaristic paintings. These pieces retrace the impact of constant visual stimuli on one’s emotional wellbeing. Together the works exhibited in Pure Raw navigate the projected idea of self as well as post-internet culture and aesthetic. This exhibition will be running from June 9 -July 14, 2018. James Bouché (b. 1990) is an artist living and working in Baltimore, MD. He graduated from MICA in 2012 with a BFA in printmaking and is currently teaches at Baltimore School for the Arts. 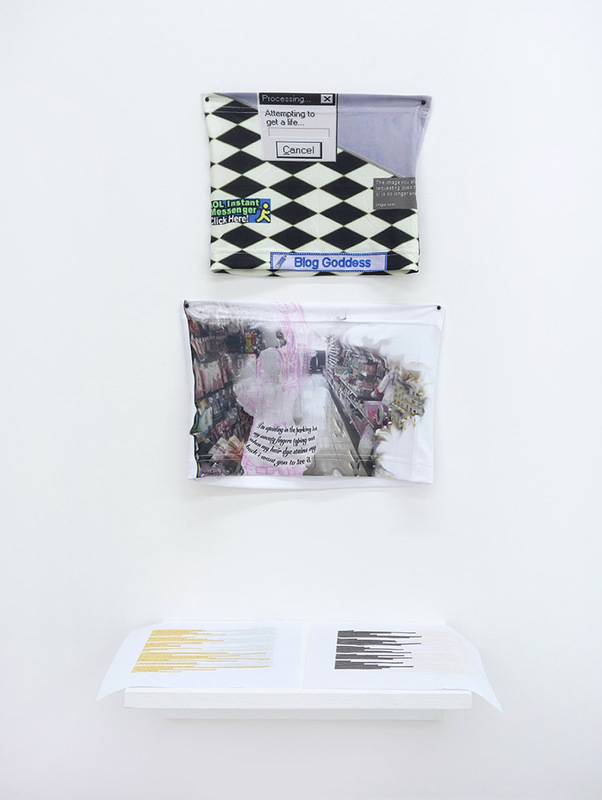 Recent exhibitions include Punctual Reality (High Tide, Philadelphia), Of Fictive Intentions (Vacation, NYC), 8 (LVL3, Chicago), and Imperfect Tools for Navigation (American Medium, NYC). Markele Cullins is an interdisciplinary artist, curator, and organizer born and based in Baltimore, MD. Their work focuses on intimacy, memory recollection, spirituality and traditions. Cullins spoke at Baltimore Pride 2015, Baltimore Bridging Gaps, and The Creative Time Summit in 2016. They have shown work in Baltimore, New York, Washington D.C. and more. Furthermore, Cullins has curated numerous shows and led workshops around Baltimore. In addition to being a visual artist and curator, he performs under the alias Hoeteps. Erika Hickle Erika Hickle (b. 1985) is an artist living and working in New York City. She was born and raised in San Diego, California. She received her BFA from California State University, Long Beach and her MFA from Rutgers University. She has shown at 321 Gallery in Brooklyn, and shown at Kimberly Klark gallery in Queens. Maya Martinez is a writer and artist. Her writing and object making deal with personal mythology, cruelty, traps, and entertainment. Maya is from Florida and she dances on the weekends. Vijay Masharani (b. 1995) is an artist living and working in Queens. Recent exhibitions include a two person exhibition with Trisha Cheeney at High-Tide (PA) and group exhibitions at Museum Gallery (NY) and 891 N. Main (RI). His writing has been published in The Brooklyn Rail, Post-Office Arts Journal, and Title Magazine. Molly Soda was born Amalia Soto in 1989 in San Juan, Puerto Rico and currently lives and works in New York. She received her B.F.A in Photography and Imaging from Tish School of Art, NYU in 2011. Since 2015 her work has been represented by Annka Kultys Gallery, where she has had three solo exhibitions. She has participated in several group shows internationally, including Net [ ] Work: 24 hours of Contemporary Video Art, Los Angles, Your Digital Self Hates You, Stadt Bern in Bern, Switzerland; Doubly So in Detroit; The Wrong Digital Art Biennale in Seoul; Like 2 B Liked in Copenhagen, Denmark. She remains active on Tumblr and Twitter, and regularly publishes on NewHive. Alex Ebstein is an artist and curator based in Baltimore, MD. She received her MFA from Towson University in 2015, and her BA in Studio Art from Goucher College in 2007. Recent solo exhibitions include Victori + Mo gallery in Brooklyn, NY, Cuevas Tilleard in New York, NY, Frutta Gallery in Rome, Italy and Kent Place Gallery in Kent, NJ. She has been featured in a number of group exhibitions including show at Trestle Gallery in Brooklyn, NY with TheRemix, Greenpoint Terminal Gallery in Brooklyn, NY, Crossing Collective in New York, NY, Guerrero Gallery in San Francisco, CA and Loyal Gallery in Stockholm, Sweden. Her work has received write-ups in the New York Times, FastCo, Self Magazine, Baltimore Beat, City Paper, Beautiful Decay and ArtFCity. In addition to her studio career, Ebstein is the founder and director of three galleries in Baltimore between 2009 and present, Nudashank and Resort, both with partner Seth Adelsberger, and Phoebe. Abbey Parrish is a curator and creative strategist based in Baltimore, MD. After receiving her BFA in Painting, Art History, and Curatorial Studies at Maryland Institute College of Art (MICA), she co-founded and co-directed Platform Gallery with partner, Lydia Pettit. She currently works as a Creative Strategist for QWRK Collective Environments which curates, designs and furnishes public spaces through the East Coast. In addition to her work, Abbey was a member of the creative collective EARTHSEED and sits on the board for Roots and Raices.